Pushing the tech industry forward. Apple and Google get all the recognition. Yet, there are those who invent useful technology, innovative gadgets, and ground-breaking services who go unheralded. These six brilliant thinkers invented a product, released in 2012, that pushed the tech industry forward. Our top pick for an innovating product, the Puzzlebox Orbit is a brain-controlled helicopter. The helicopter uses the NeuroSky MindWave Mobile EEG headset, which can read your level of concentration to make the helicopter fly. Steve Castelloti, the CEO of Puzzlebox Brainstorms, is innovative in another way: the company creates open source software for use in schools that teach kids about neuroscience. The product was also funded through Kickstarter. One of the great challenges in the auto industry has to do with distracted driving. Any new safety measure introduces yet another chime or video signal that could cause even more problems. The Cadillac Safety Alert Seat, available in the 2013 XTS sports sedan, addresses this problem. The seat pulses on the left or right side if you edge into another lane or if you are about to bump into a rail in a parking lot. For collision alerts front and back, both sides of the seat vibrate as a warning. Ray Kiefer is a Technical Fellow at General Motors and invented the tech and holds the patent. Wearable technology will hit full stride next year, but Martin Källström is already ahead of the game. In 2012, he invented the Mometo, a life-stream camera you attach to your shirt that snaps two photos per minute all day long. (The battery lasts for two days on a charge.) The photos are geotagged and sent to an app automatically – there are no buttons on the camera at all. The geotags automatically adjust the photo orientation and add the location information to the photos. Videoconference tools are not exactly innovative, but Uberconference is different. The Web app does not load any extra plug-ins or software. When you first sign-up, you can start holding a multi-point video chat within seconds. The immediacy is the one missing piece of the puzzle that could help us switch over to more video calling. Craig Walker might be the unsung hero to make it all happen. He invented Dialpad, which is now Yahoo Voice. And, he started GrandCentral, which morphed into Google Voice. This LED lightbulb system is the first of its kind. You can control the lightbulbs using your iPhone, iPad or Android device, setting the light intensity and color. You can set "scenes" for individual rooms of the house, such as a sunset theme or dim lighting. Your mobile device can connect to the bulbs remotely, so you can turn lights off and on, or even set timers. Filip Jan invented the idea of how people could interact with the lightbulbs, and George Yanni came up with the technical infrastructure. 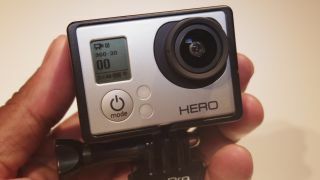 The GoPro cameras invented an industry of extreme sports filming for everyday users. The latest version, the GoPro3 Black Edition, ups the quality to 4K video, exceeding the quality of most home televisions today but anticipating the next revolution of 4K video. Just as importantly, the Black Edition can capture 240 frames per second for life-like video quality at WVGA resolution. Surfer Nick Woodman invented the camera idea way back in 2002, but the GoPro3 is a major step up in quality.